Zagi waza (also referred to as suwari waza) is a form of Aikido practice performed from the initial position of nage and uke sitting opposite and facing each other while kneeling (seiza). This type of practice is particularly useful for developing skills relevant to maintaining and taking balance, moving the body off-line and as a single unit, leverage principles, breath power and keeping centre line. In our dojo, suwari waza is practiced at most classes. Initially, the typical form of practice is static in nature and involves the uke holding the nage’s wrists with each hand. This static form of practice is referred to as zagi waza kokyu ho. As we progress in our studies, other forms of attack are added to our zagi waza practice including responses to strikes. In the below video, Chicko Xerri Sensei (6th Dan AKI Aikikai) explores some of the key Aiki principles underpinning the practice of zagi waza shomenuchi ikkyo. 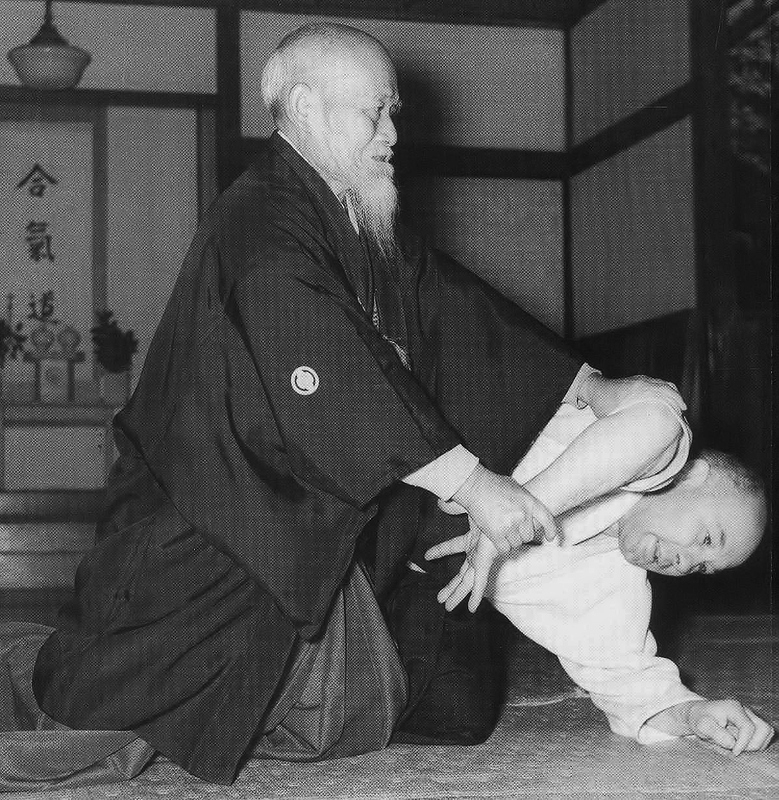 There are many recordings of the Founder of Aikido demonstrating this particular form of zagi waza which is performed in the context of a downward strike to the temple (shomenuchi). The below video features suwari waza when responding to a straight strike to the centre of the head (shomenuchi). The demonstrated technique (performed by Yoshimitsu Yamada Sensei) is suwari waza shomenuchi ikkyo. The below demonstration is by Peter Kelly Sensei, Seishin no Shugyo Dojo, Tasmania. The source material was kindly provided courtesy of Bill Hely.